Q. Why can't I get the games to work on nick.co.uk? Lots of games on nick.co.uk need Flash to work properly. If a game won’t load you will need to install Flash onto your computer. Here’s a quick guide on how to install Flash onto your computer. Q. Why can't I see any video? All the clips on nick.co.uk need Flash to work. You need to install Flash to be able to watch clips on nick.co.uk. Here’s a quick guide on how to install Flash onto your computer. You will also need to be in the UK to watch clips on nick.co.uk. Any international visitors should try their local Nick site. Q. Why isn't nick.co.uk working? If you can’t play a game or watch a clip you may need to install Flash onto your computer to make them work. Here’s a quick guide on how to install Flash onto your computer. Click the button at the top of the screen with two green arrows, one pointing up and one pointing down. Click the button at the top of the screen with a blue arrow twisted into a circle shape. Click the button at the top of the screen with a black arrow twisted into a circle shape. If you are experiencing a problem every time you visit the site, please contact us and tell us about what’s going wrong with nick.co.uk for you. Q. How do I install Flash? Flash is a free piece of software that makes all of nick.co.uk’s games work properly. If the games don’t work, it probably means that you don’t have Flash installed on your computer. It is FREE to download and use Flash but please check with a parent or guardian before downloading Flash. 1. Go to Adobe (http://get.adobe.com/flashplayer/) to download Flash. 3. Sometime if you're installing Flash using Internet Explorer you may need extra components. If you see a gold bar at the top of your browser appear whilst downloading Flash, you must click on the gold bar to install these extra components for your browser. In Firefox and Safari, you won't see a gold bar but you will see a more traditional pop up box asking you if you want to install extra components. Click yes when prompted to download extra components. 5. You should now see a box pop up with a red F flying around in it. You can now view Flash content. 1. The first page asks if you want to download an 'hqx' file or a 'bin' file to your Mac, click the 'bin' button. 2. Your download manager will now open. Wait for the Flash Player to download. 3. A file called 'Install Flash Player' will be downloaded to your desktop. Double click to open it. 4. The installer window now opens. Click 'Install' to continue. 5. The Flash player will install automatically. This box will disappear when the player has installed. 6. Installation is complete. You should see the 'Flash Player Installed' screen. Q. How do I install Adobe Acrobat? Adobe Acrobat Reader allows you to read and print out some of the cool printables we upload to nick.co.uk. If you can’t read our great Nicktrition recipes, or print out the Weetabix World activities then you’ll need to follow the below instructions to be able to download them and print them out. 1. Go to the Adobe Acrobat Download page (http://get.adobe.com/uk/reader/). 4. The Download Manager message will pop-up telling you how long the programme will take to download. 5. A box will then appear asking if you want to run or save the files. Click on Save. 6. The next box will ask where to save the Executable file. Save the executable file to your desktop. A new picture will turn up on your desktop with a name that ends in .exe. Click on this picture. 7. Click through all the message boxes and the programme will install on your computer. Finally click 'ok' once the programme has installed and you're done! 1. Go to the Tools menu in IE and choose Internet Options. 2. Next click the word Security in the box that opened up. 3. The words Internet Zone need to be highlighted then press the Custom Level button to open the security options. 4. Look for the entry near the bottom of the list which says Scripting, then Active Scripting and make sure it is enabled. 5. Press OK to close the boxes. 1. Find the Preferences option on the Explorer menu. Select 'Web Content' from the list on the left hand side of the window. 2. Find the Active Content section. Make sure that the checkbox next to Enable Scripting is checked. 4. To enable Java, click the Java link in the Web Content section. 1. In Safari, go to the Safari menu and choose Preferences. 1. Go to the Tools menu and select Options. Q. I can't find the answer to my question here, what do I do now? Contact us with your question and if it's urgent we’ll try to get back to you to help you answer your question. We will also post answers to your questions on the Help page. Q. Why don't you show old shows any more? Nick has so many great shows old and new that we don't have enough time to show everything. We've been told by Nick fans that they want to see more new shows so that's what we give our fans. We do still show some of our older shows. You can catch Genie in the House between 5am and 6am every morning and at 9.30pm every night. Q. Why do you show repeats? We show repeats to make sure that you manage to catch the latest episode of your favourite show! Also we show some of your old favourites because we know how much you enjoy them and that you'd like to see them again. Q. What happened to the Elephant Princess? The name of the show changed, it's now called Rock Princess. So make sure to keep an eye out for it in future. Q. How can I appear on Nickelodeon? We can't make you an actor or actress but sometimes we make shows that you can appear on and sometimes we shoot in towns across the country. 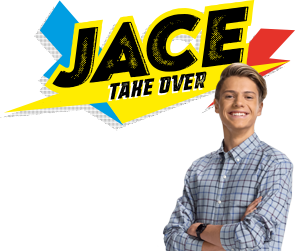 Keep an eye on this page as we'll put up details of any opportunities for you to be on Nickelodeon right here on this page. On this page we've tried to pick out the most-asked questions that are being sent in to Nickelodeon at the moment, but if there’s something else you’d like to know contact us.